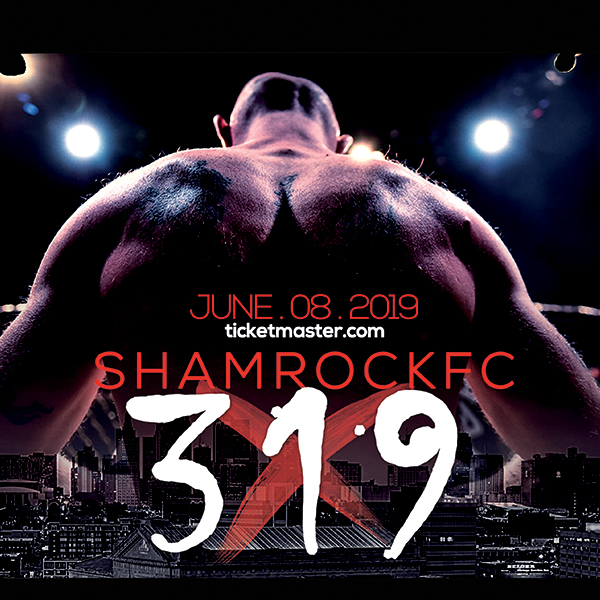 With a mixture of confidence and poise, Zak Bucia defended his welterweight championship Friday in the main event of SFC: 295 at the River City Casino. Bucia submitted Aaron Highfill at the 3:32 mark of the fourth round with a belly-down armbar. The win improved Bucia to 17-8 and earned him a multi-fight Bellator contract. Highfill (5-3) fought close to flawless leading up to the submission. Bucia himself had Highfill winning all three rounds. Afterwards, Bucia credited Highfill's submission defense, top control, and game-planning. Bucia won the title earlier this year against Bobby Voelker (29-13). Stay tuned for post-fight interviews from Bucia and other main card winners. It was an odd start to the fight with the bulk of the round of Highfill being in Bucia's guard and the two of them swatting at each other. Things ramped up when Highfill got the better of a scramble situation in the closing minutes of the round, took Bucia's back and landed strikes and went for a rear naked choke attempt. Highfill likely took the second round with a late burst with the entire five minutes spent on the feet. Highfill threw and kicked plenty, but few landed as Bucia stayed out of range and conserved energy as the fight headed into the third round. Bucia started to open up more to begin the third and repeatedly found a home for his kicks. Highfill eventually closed the distance, pressed the action to the fence then got Bucia to the ground with a nice trip. Bucia quickly reversed the situation and moved to side control. Highfill squirted free on a scramble and ended up in Bucia's guard after landing a heavy punch before getting there. Entering the championship rounds, Highfill scored another nice trip from the clinch in the fourth round. And while his submission defense had been airtight all night, Bucia – a recent BJJ brown belt – made the smooth and efficient transition by baiting Highfill with a triangle and transitioning to the armbar finish. At a 180-pound catchweight, Ty Flores persevered and snapped a two-fight skid with a second-round submission of Jordan Dowdy. Dowdy put together an absolutely blistering first round and showcased about every aspect of the sport, but Flores was a tank and gutted through. Just as he was manufacturing some offense, a Dowdy trip sucked the air out of any Flores comeback attempt. Dowdy (4-4) made his way to mount and rained down a plethora of punches before the bell saved Flores. In the second round, Flores seized an opportunity when it presented itself early. Flores got the better of a grappling transition and put in a deep rear naked choke and eventually getting the tap at 1:39 and to improve to 3-2. Lightweights Malcolm Smith and Brandon Lowe went at it. In a wild, momentum-shifting second round, Smith came out strong, and like he did for much of the first round, dictated the offense with his hand-speed and boxing. But around a minute in, Lowe turned the tides and pressured Smith across the cage. Lowe got the fight to the floor and eventually went all in on a head and arm submission that wasn't there. Smith – who had been out of action for over a year - fought back into Lowe's guard and did some damage before getting laced up a triangle attempt by Lowe . From his back, Lowe landed multiple elbows before finally getting the TKO victory. It was a dynamic first round for Smith. He was getting off quicker and more frequent and did more damage but Lowe, as blood started to trickle, pushed through. Near the 1:20 of the round mark Smith's energy began to fade, and the veteran of the local scene couldn't put on the same punching pressure to close the deal. Lowe improved to 3-1, after losing his professional debut at Bellator a year ago. Smith dropped to 4-6. Featherweight Sean Woodson improved to 4-0 and put on a clinic while doing so. Woodson boxed his way to a 30-27 unanimous decision win over Seth Basler (3-5). Woodson went straight to the jab and had Basler reddened shortly after the midway point. Woodson sent Basler to the floor briefly with a kick to the lead leg. Basler was left – like most of the fight – trying to crack the distance riddle of his 5-foot-7 against Woodson's 6-foot-3. Basler had some of his best moments in the first in the second round, but there was still a lot of offense from Woodson, who was calm and collected and was in constant movement and motion. And, Woodson continued to hack at Basler's lead leg whenever he pleased. Basler needed something big in the third, but Woodson was toying at times before once again ramping up the boxing volume before the final bell sounded. Afterwards, Woodson talked about the cut to featherweight. AJ Siscoe was calm from the onset of his bout with Juan Parra. Siscoe showed improved movement and was bouncy and fluid on the feet for the first minute of the fight before shooting in for the takedown. Siscoe, known as the “Cancer Killer” for his 2015 recovery from Hodgkin's Lymphoma and subsequent return to fighting, made his way to mount, softened Parra up with ground and pound before sinking in the guillotine submission. The win improved Siscoe to 2-2. On the all-amateur preliminary card, Kris Craig rebounded from recent defeat in dramatic fashion. The 36-year-old Craig faced 20-year-old prospect Avoran Graham and was victorious in dramatic fashion. Craig landed a Knockout of the Year candidate punch just seconds into the first round. Craig took control early with his ground attack, but Graham eventually worked his way back to his feet. Graham was fluid and was finding success on the feet before Craig, known for his wrestling, landed the bomb. Kory Beck was looking to make a statement. Beck was light on his feet and smooth in his ground transitions as he sewed up a nice armbar on Vince Hutchens at 1:15 in the first round. 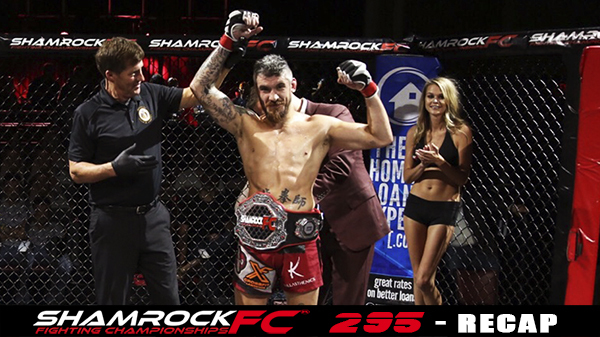 The victory solidified Beck as the bantamweight to beat in the SFC amateur ranks. Cape Girardeau, MO's Keyth Dawson from scored a quick TKO win over Freddy Kostjerevac. 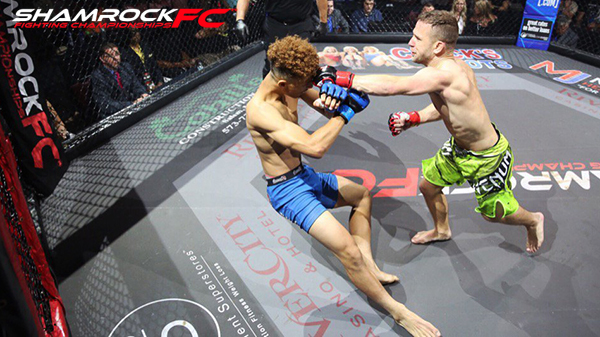 In a kickboxing contest, Cody Nauke eeked out a split decision over Ace Anderson. In his MMA debut, Austin Kunz laced up a second-round head-and-arm submission out of Sammy Burns. It was a valuable outing for Kunz, who fought out of mount early in the first round and got nearly two rounds worth of experience in. To kick off the undercard, David Grant's top pressure was too much for Kevin Mueller. Once Grant got on top, he was able to pound out a TKO victory at 1:50 in the first round.